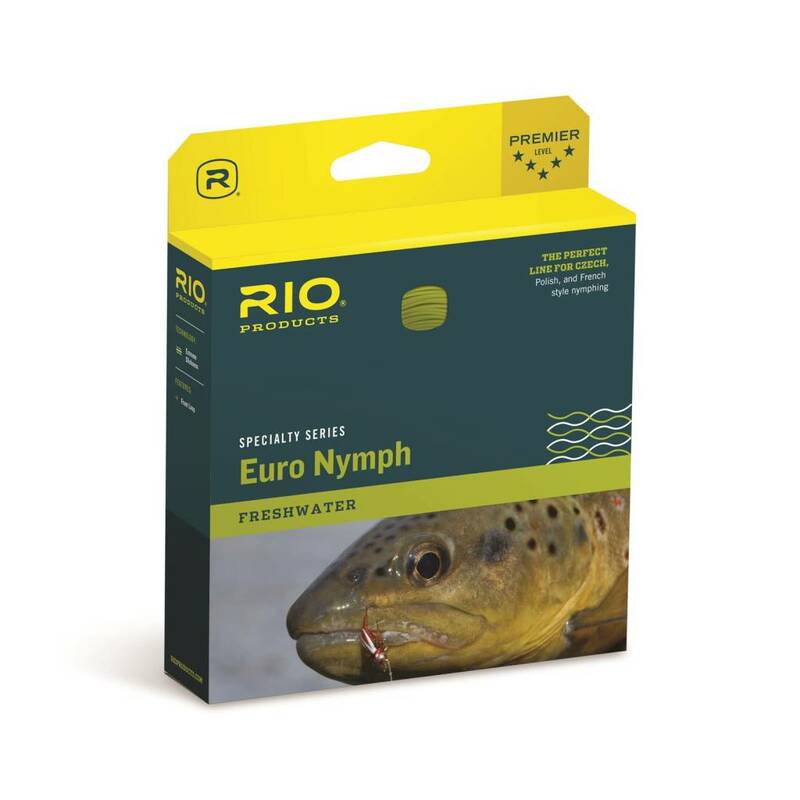 RIO's updated Euro Nymph line has been thoroughly vetted and approved by FIPS Mouche as "Compettion Legal". A system of special marks on the line has been endorsed and approved by FIPS Mouche, ensuring that competitive anglers do not have to waste valuable fishing time by having their line checked during competition hours. The Euro Nymph line was designed by Steve Parrot to satisfy the need for a one fits all European style nymphing line that is competition legal. The line is built on a thin diameter, low stretch, supple core to maximize sensitivity and allow for lightning fast hook sets, while a highly visible tip helps anglers detect the slightest of strikes. This line is designed specifically for European style nymphing techniques, such as "French", "Czech", "Polish" and "Spanish" styles.